In recent months, increasing national media attention has been paid to the ever-growing opioid epidemic that has gripped nearly every corner of the United States. It seems that the drug crisis has left no community unharmed. In countless neighborhoods and communities across the country, the story seems to be the same. Dramatic increases in opioid overdoses since the 1990s have destroyed thousands of lives across the United States. 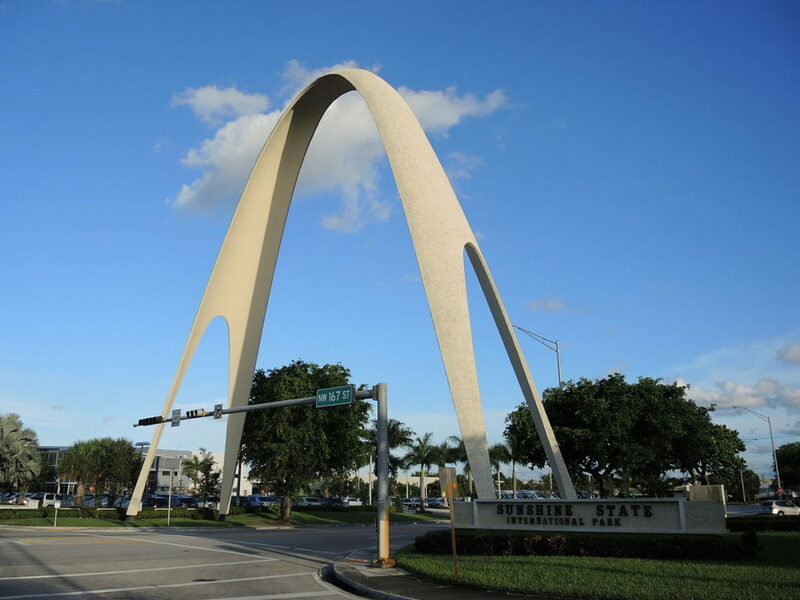 Miami Gardens is a suburban city with a population of 112,265 people situated in north-central Miami-Dade County, north of Miami and south of Fort Lauderdale. A recent report by Florida’s Medical Examiners Commission revealed that, between 2015 and 2016, drug-related deaths soared 22 percent in Florida. As is the case in many states, opioids were the primary culprit. In 2016, 5,725 opioid-related deaths were recorded. This represents a 35 percent increase over one year. Overdose deaths caused by the synthetic opioid fentanyl increased by 97 percent during this same period. The report also revealed that even more Floridians died as a result of prescription drugs compared with non-prescription opioids such as heroin, fentanyl, and other synthetic forms. At least one prescription drug that could be identified as the cause of death was found in the systems of 3,550 people. Oxycodone-related deaths alone increased by 28 percent from 2015 to 2016. Across Miami-Dade County, where Miami Gardens is located, 2015 saw at least 236 opioid-related overdose deaths. The prescription opioid epidemic began in the 1990s, when pharmaceutical companies publicly assured doctors and medical providers across the country that opioid painkillers were not addictive in nature. As a result, physicians began to prescribe these medications to patients recovering from surgery and to those with chronic or acute conditions in greater and greater numbers. This led to dramatic increases in the misuse of these prescription medications, and many people became physically and psychologically dependent upon prescription opioids before they or their doctors were even aware of the presence of an addiction. Although researchers still debate the true nature of addiction, its causes, and how it manifests itself in the mind and body of those suffering from substance dependency, addiction is perhaps best understood simply as a brain disease. Addiction seems to have strong biological components, whereby certain individuals may have a genetic predisposition to develop a drug or alcohol addiction. Of course, even those with a so-called “addiction genes” must encounter drugs or alcohol in their external environments in order for an addiction to develop. As previously discussed, many people who now suffer from opioid addictions first encounter opioids in the form of prescription medications prescribed to them or a family member or other acquaintance. Some of these people ultimately turn to illicit forms of the drug, such as heroin, while others solely abuse opioids in their prescription form. Other people first encounter opioids in recreational or social settings, and develop a dependency over time with repeated use. Long-term abuse of opioids causes fundamental changes in the brain of the user. The nerve cells in the brain become accustomed to the presence of opioids, and can affect a person’s mood, behavior, and psychology. When the drug is taken away, the body responds and causes symptoms of withdrawal. It is common for those addicted to drugs or alcohol to experience feelings of anger, anxiety, or resistance at the thought of going to addiction treatment. This may be especially true in cases where the person is dependent upon highly addictive substances such as prescription or synthetic opioids, particularly if the addiction is severe and/or long-lasting. If you or someone you know is suffering from an opioid addiction or is dependent upon another substance, you are not alone. You do not have to suffer in silence, and help is available. Drug addiction treatment has been shown to be affective, and there are a variety of options available to those dealing with substance abuse and addiction in Miami Gardens and elsewhere. Continue reading to learn more about how drug treatment and recovery works. The first step of most drug addiction treatment programs is an initial drug assessment. These assessments are used by staff members, including medical professionals and addiction specialists, to gain a comprehensive understanding of a new patient’s addiction, including his or her current and past substance use patterns, overall physical and mental health, and his or her attitudes and beliefs surrounding the addiction. During the initial drug assessment and other intake procedures, new patients are typically given the opportunity to ask clinicians and other staff members any questions they may have about the detoxification and recovery process. After you have made the decision to enter treatment for drug or alcohol addiction, it is important to make sure that any practical concerns you may have are taken care of before you begin the intake process, and that you understand the expectations and policies of the treatment center you will be attending on an inpatient or outpatient basis. Most people have concerns about what to expect from treatment, and conducting some basic research about how the detox and treatment process works in general and at your specific treatment facility may help to ease your mind. Many treatment centers have some basic information and frequently asked questions listed on their websites, and you can also call or email with questions for staff members. Before entering treatment, it is important that any concerns you may have about responsibilities or events unrelated to treatment are taken care of, so you are able to focus all of your attention and energy on your treatment and recovery. In many cases, family members, friends, or other loved ones can help those entering treatment take care of a lot of the above concerns. During treatment, your health, wellbeing, and continued recovery must be your top priority. Ensuring that these and other logistical issues are taken care of can help recovering individuals focus on treatment and getting well. Meeting one-on-one with a counselor or addiction specialist to go over your current and past substance use, the status of your mental and physical health, and your hopes and expectations for treatment. The intake process is a good time to ask any questions you may have about detox, therapy, being away from home, and/or any other component of the treatment process, and discuss your concerns about what is to come. As previously discussed, long-term use of illicit and/or prescription opioids can lead to fundamental changes in brain wiring and chemistry. Those addicted to opioids or other drugs can become both physically and psychologically dependent upon the substance. The detoxification and withdrawal process refers to the time period during which a person’s body rids itself of chemicals and toxins associated with the substance addiction. With long-term, repeated use, the brains and bodies of those addicted to prescription opioids, heroin, and other related substances become accustomed to regular doses. During the first few hours and days in treatment, the body does not receive its usual dose. Although not all patients have to go through detox and withdrawal, in most cases, when an induvial suffering from opioid addiction does not receive their usual dose of the substance, the body responds by producing side effects. These side effects may appear as quickly as just a few hours after the person’s last use of the drug, although each person’s experience with detox is different. In most cases, severe symptoms of opioid withdrawal peak between one and two days after the individual has stopped using the drug, although in some stubborn cases, symptoms may last for several months. The severity of withdrawal symptoms typically decreases considerably after the 48-hour mark. Since opioid withdrawal can be potentially dangerous and those withdrawing from opioid addiction are at heightened risk of overdose if they relapse, it is generally advised that patients are monitored by medical professionals during the detoxification and withdrawal process. Detox is only one component of treatment. Alone, detox is typically not enough to break the vicious cycle of opioid addiction and lead to long-term recovery and sobriety. Additional therapies, supports, and strategies above and beyond physical detoxification and withdrawal should be incorporated into any treatment program. Keep reading to learn more about how inpatient and outpatient treatment works. Inpatient rehabilitation programs—also sometimes referred to as “residential treatment”—refers to intensive rehabilitation programs during which patients live full-time at the treatment facility, and typically do not leave except on scheduled, supervised outings. Inpatient treatment programs are generally more expensive and intensive than outpatient programs, and include 24-hour supervision and medical monitoring, regular individual and group therapy sessions, and a safe and secure, drug-free environment. Individual inpatient programs differ substantially from facility to facility. Although it is common for inpatient programs to last 30 or 60 days, those with unique circumstances, high risk potential, or severe addictions may stay in treatment for up to 6 months or longer. Inpatient programs may be the right option for those suffering from severe and/or long-lasting addictions. As previously discussed, those recovering from opioid addiction are at increased risk of overdose in the case of a relapse compared to those recovering from addictions to other substances. Therefore it is often recommended by medical professionals and addiction specialists that those undergoing treatment for opioid addiction attend inpatient treatment, particularly during the detox and withdrawal process. Outpatient rehabilitation programs differ from inpatient/residential programs in that patients do not live full-time at the treatment facility. Instead, those undergoing outpatient treatment generally live at home, with family or friends, or in a sober living home while they receive treatment. Outpatient programs typically require patients to report to the treatment center at specified times during the day or week. Due to the lack of 24-hour supervision that inpatient programs provide, those undergoing outpatient treatment are often asked to submit to drug tests and check-ups on a regular basis. Although outpatient treatment programs are generally less intensive than inpatient programs, they incorporate many of the same components. Most outpatient rehabilitation programs incorporate individual and/or group therapy, counseling, periodic medical and mental health check-ups, and professional support and supervision. Outpatient programs commonly last longer than inpatient treatment, and are often recommended as an aftercare option for those exiting inpatient treatment programs who are recovering from a severe addiction or who have a high risk of relapse. Outpatient treatment can also be a good option for those with less severe addictions or who cannot commit to 24-hour treatment. Partial Hospitalization Programs (PHP) – Patients are expected to attend treatment every day to receive treatment for a specified period of time, but typically spend nights at home. Intensive Outpatient Programs (IOP) – Patients attend intensive treatment and therapy sessions at the facility, generally a few times a week, but live at home. Intensive outpatient programs may be a good option for those who are recovering from less severe addictions or are transitioning out of inpatient treatment. Whether you have undergone inpatient or outpatient treatment, recovery does not end upon discharge. For most people who have suffered with opioid addiction or dependence on other substances, recovery lasts long after treatment ends. It is important for most who have dealt with substance addiction to continually renew their dedication to continued sober living and ongoing recovery. The first few hours, days, and weeks after you leave treatment are of the utmost importance. The risk of relapse is highest during the first few months after treatment and, as discussed previously, individuals recovering from opioid addiction are at increased risk of overdose should they relapse. Developing and sticking to a well-thought-out aftercare plan can have a tremendous effect on the success of treatment and the ongoing health and wellbeing of those recovering from addiction. Whatever your plan for aftercare, it is important to remember that treatment is an ongoing—and even lifelong, in many cases—process. At any stage of recovery, even decades after discharge, reaching out for help during the difficult or not so difficult times can help you maintain your sobriety and focus on your health and wellbeing.